The Superior Lisp Interactive Mode for Atom. This package allows you to interactively develop Common Lisp code, helping turn Atom into a full-featured Lisp IDE. SLIMA uses the same Swank backend as Emacs's SLIME to control the Lisp process. This is a fork of atom-slime. 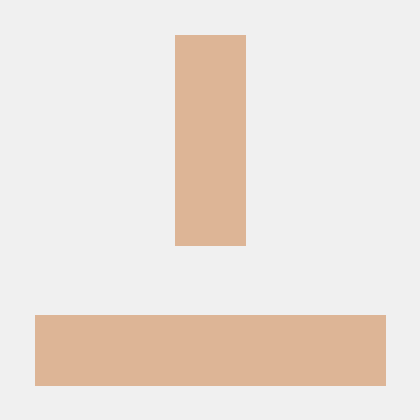 Documentation for SLIMA's features can be found in the project wiki. Note: This package is still in beta and in active development! Contributions and bug reports are welcome. Guide to setting up Atom as your main Lisp editor! By following these instructions, you can use Atom very effectively as your Lisp editor. After installing the slima package, go to its package preferences page within Atom. Under the "Lisp Process" field, enter the executable for your lisp (ex. sbcl. Note that on some platforms you may need the full pathname, such as /usr/bin/sbcl). Under the "Slime Path" field, enter the path where you have slime on your computer from the above step. This will allow the tab key to trigger automatic, correct indentation of your Lisp code (unless there's an autocomplete menu active). (Optional) In Atom's autocomplete-plus package, consider changing the "Keymap For Confirming A Suggestion" option from "tab and enter" to just "tab". This makes autocomplete more amenable when using the REPL, so that pressing enter will complete your command rather than triggering autocomplete. (Optional) In Atom's bracket-matcher package, consider unchecking the "Autocomplete Brackets" option. The lisp-paredit package above will take care of autocompleting parenthesis when you're editing a lisp file. Unchecking this option will prevent single quotes from being autocompleted in pairs, allowing you to define lisp symbols easier (for example, (setf x 'some-symbol)). All done! Futher information on configuring the lisp process can be found in the project wiki. To start a REPL (an interactive terminal where you can interact with Lisp live), run the Slime: Start command from the command pallete. A REPL should then pop up. Note that if this is your first time using slima, or you've updated your lisp process, you may get some warning messages about not being able to connect. This is normal; wait a minute or so, then run slime:connect. (This happens because your lisp is compiling the swank server and isn't ready before this package times out). With the REPL, you can type commands, see results, switch packages, and more. It's a great way to write Lisp code! A debugger will come up if an error occurs. You can also use the up & down arrows to scroll up through your past commands. type Ctrl+C to interrupt lisp (if it's in an infinite loop, for example). If you've compiled your lisp code, placing the cursor over a method will cause a documentation string to appear at the bottom of the atom window, showing you the function arguments and their order. If you want to jump to where a certain method is defined, go to it and press alt + . (Mac: ctrl + cmd + . )or use the Slime: Goto Definition function in Atom. A little pop up window will come up and ask you which method you'd like to go to (since methods could be overloaded). Use the keyboard to go up and down, and press enter to jump to the definition you choose. To compile a single toplevel form in a Lisp file, place the cursor somewhere in that form and press alt+c (Mac: ctrl + cmd + c). The form should glow momentarily to indicate it's compiling, and from then on you can use it in the REPL. To compile an entire buffer, place the cursor anywhere in that file and press alt+k (Mac: ctrl + cmd + k). The entire file will glow for a moment to indicate compilation. To use the integrated profiler, run Slime: Profile. You should see a menu appear at the bottom of Atom, where you can select what you'd like to profile. For example, click "Function" and type the function name at the dialog to begin profiling. You may then click "Report" to print a report to the REPL with profiling information. This package makes use of the superb work from the slime project. Slime started as a way to integrate Lisp with Emacs, a popular text editor for Lisp. It works by starting what is known as a swank server, which is code that runs in Lisp. Emacs then runs separately and connects to the swank server. It's able to make remote procedure calls to the swank server to compile functions, lookup function definitions from your live code, and much more thanks to the fact that Lisp is such a dynamic language. This package uses the swank server from the slime project unchanged. This package allows Atom to speak the same protocol as Emacs for controlling the swank server and integrating Lisp into the editor.